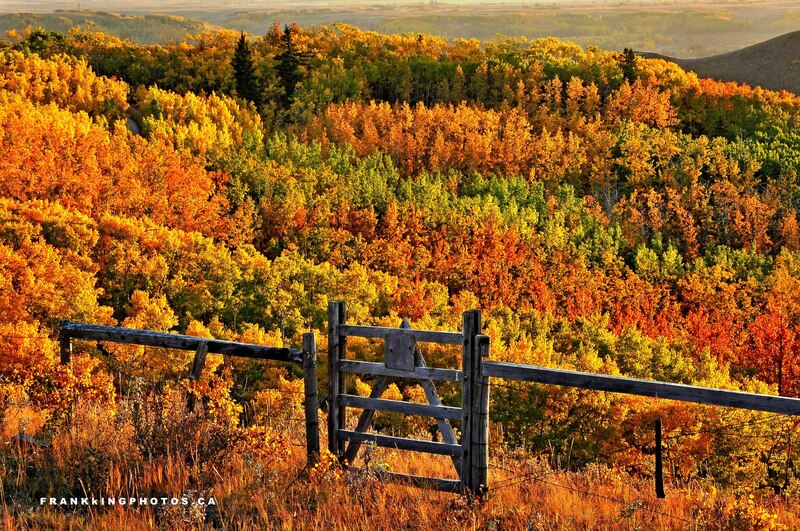 In the western Canadian province of Alberta, aspens turn to astonishing shades of yellow and orange in the fall. I loved this hillside and the fence made for a perfect foreground. Nikon D90, tripod, polarizing filter. I really like the diagonal lines with the trees. Another great shot!